Because I posted the breadboards end router technique video Wednesday, I thought I would be self-serving with this post and show the first group of custom order mallet handles to ship out. Arranged on my bench, I was in awe of the wood types selected. As a group, woodworkers are as individual as people are as a whole. The only woods selected by more than one customer was cocobolo – I too, like this exotic – and Honduran Rosewood. Included in the group from left to right are Tiger Maple (not an exotic, but he wanted his handle without my company name. Still trying to figure that out! 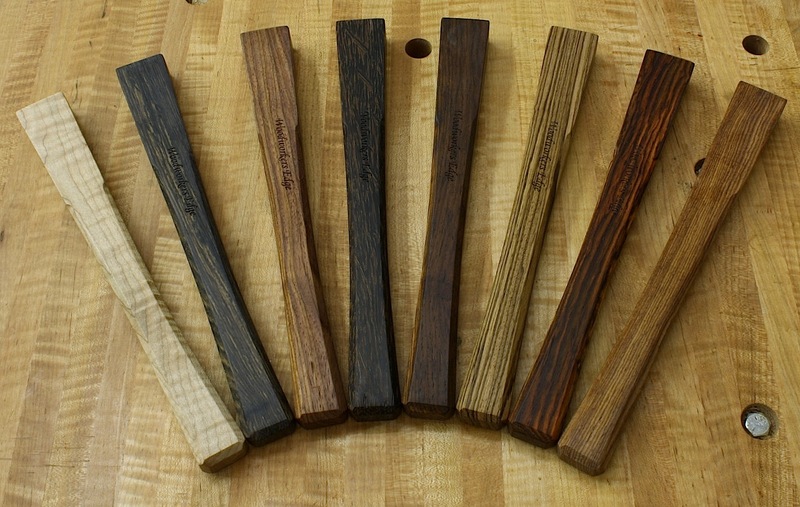 ), Blackwood, Honduran Rosewood, Black Palm, Cocobolo, Zebrawood, a second Cocobolo, and a second Rosewood (another without the company name). 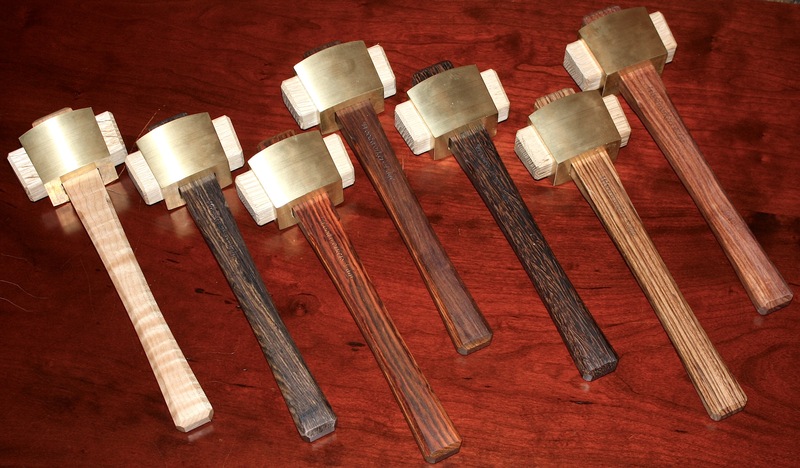 Below is a look at the actual mallets. By the way, WoodNet folks please take notice. I have dropped the dot com from the handle engravings. After reading your thoughts, I agree that the company name is enough. The best person to listen to in business is your customer. Happy Easter, and Build Something Great!